The Earworx team is excited to announce the opening of a brand new clinic in Bondi Junction on Monday the 8th October 2018, conveniently located just 20 minutes from Sydney’s CBD and just two minutes from the Bondi Junction train and bus terminal. The new clinic will be run by the highly experienced and talented Elaine Pickersgill. Elaine is a registered nurse with over 10 years experience. Prior to joining the Earworx team, Elaine spent quite some time working in the aged care industry. She was a Registered Nurse on call at several assisted living facilities and nursing homes, including Huntingdon Gardens in Bexley, St. Patrick’s Green in Kogarah, Ainsley Nursing Home in Burwood, and Abel Tasman Village. This extensive experience in the aged care industry has provided Elaine with specialist skills in caring for the elderly—skills that are particularly applicable to her role at Earworx. Some Earworx patients are elderly people who require help with impacted earwax caused by wearing hearing aids. Elaine commenced her nursing career at Kidapawan Medical Specialist Corporation in the Phillipines—a tertiary training hospital. In this role Elaine gained a wide variety of nursing experience. She spent time in the intensive care unit, emergency ward, out-patient department, and the general hospital ward. Elaine holds a Bachelor of Science in Nursing, a Certificate III and IV in Aged Care and a Course in Aural Care. She is also a Registered Nurse in both Australia and New Zealand. If you’ve been living with sore, itchy or full-feeling ears, I encourage you to make an appointment with us. We will do our very best to help if you’re suffering from excessive or impacted ear wax,” said Elaine. The opening of Earworx Bondi clinic follows on from two new clinics opened just last month in northern Tasmania, including one in Launceston, and one in Ulverstone. You can use our online booking system to make an appointment with the friendly team at our brand new Bondi Junction clinic. 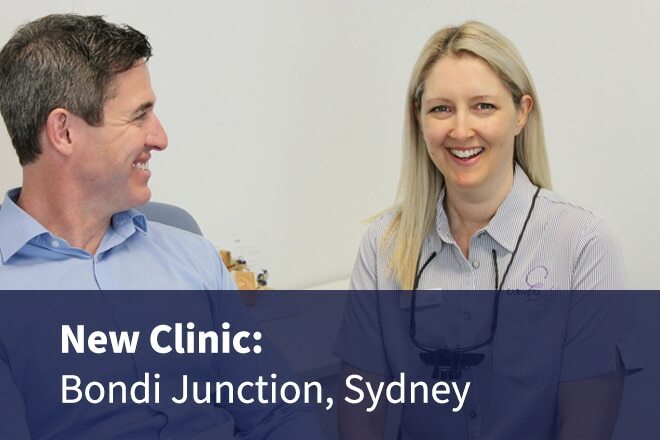 The entire Earworx team—particularly Elaine—is extremely excited about the opening of the brand new Bondi Junction clinic. We cannot wait to meet you all. With our new Sydney clinic, there really is no excuse for living with impacted or excessive ear wax. Live life with clear, clean and healthy ears: make an appointment today.